Other information: Fostered with multiple cats. Lovely Ophelia was found as a stray on Christmas Day by a community cat team volunteer. She was cold and hungry, but now lives peacefully in foster care, where she and the other kitties get along splendidly. 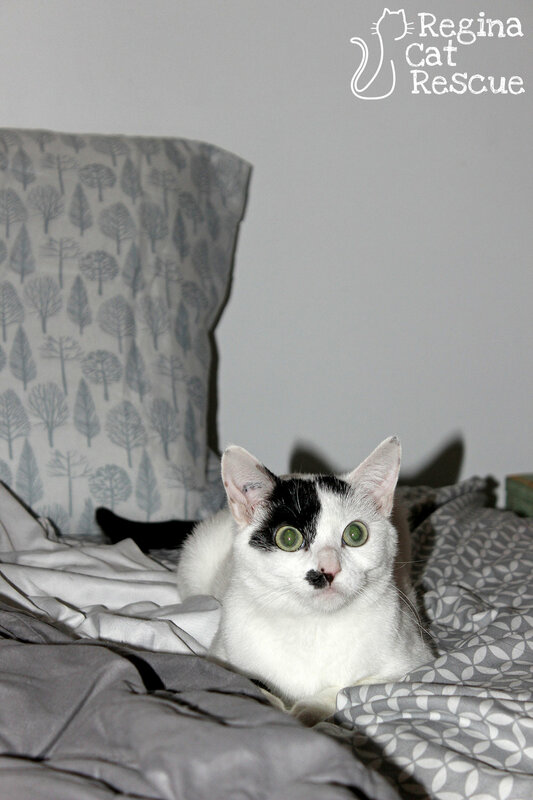 She is 2 years old, spayed and vaccinated, with black and white fur. Ophelia may be a regal name, but this gal has a goofy streak in her! 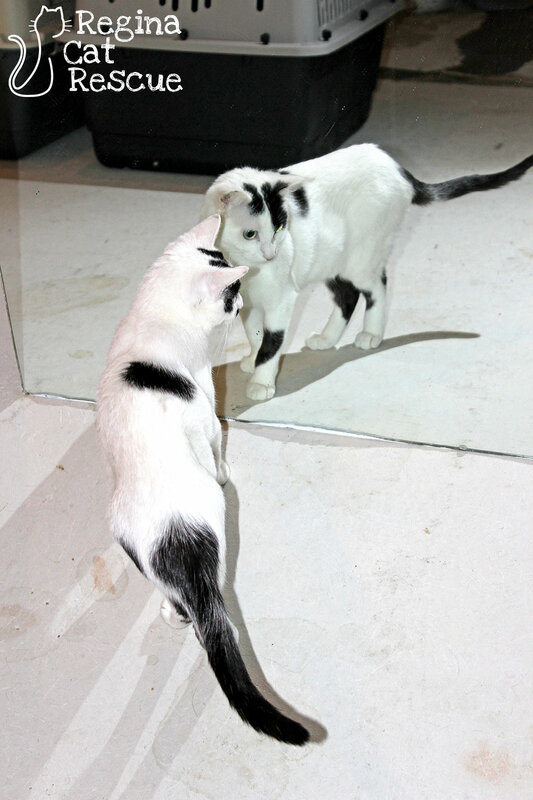 She can be seen playing games with herself in the mirror, and has a fun and friendly personality. She'll get along great with any other cats in a household. She sports an adorable birthmark near her nose, and this sets her apart from all the other kitties! Overall Ophelia is a special cat, who's fun-loving and amiable demeanor will win over humans and cats alike. If you are interested in Ophelia, click here to view our adoption contract and click here to complete an adoption application or email the RCR Adoption Coordinator at rcradoptions@gmail.com for more info.